For our 74 guest houses in Venice, we present actual room availability. Venice is a city of canals and amazing architecture that keeps attracting visitors from all over the world. What could be more romantic than a gondola ride on a Venice canal? Venice remained an independent city-state for more than 1000 years, until it was conquered by Napoleon in the end of the XVIII century. This city is home to a large number of historical sites and monuments of architecture and art. However, tourists are not recommended to limit their stay in Venice to visiting famous sightseeing attractions. Make sure you have enough time to wander in this amazing Italian city and discover its real charm. Make a walk to, for example, a quarter, where there are no or almost no tourists. Each quarter in Venice has its own character, and there’s nothing surprising in this when you remember that the city is built on 117 islands connected by more than 400 bridges and about 160 channels. Do not forget that riding a car is prohibited in the center of Venice. If you have a car, it would be better to leave it at the parking lot and get to the center by boat. San Marco Square (Piazza San Marco) forms the center of Venice. This is also the lowest point in the city, and because of this the square is constantly flooded with water, especially in winter. 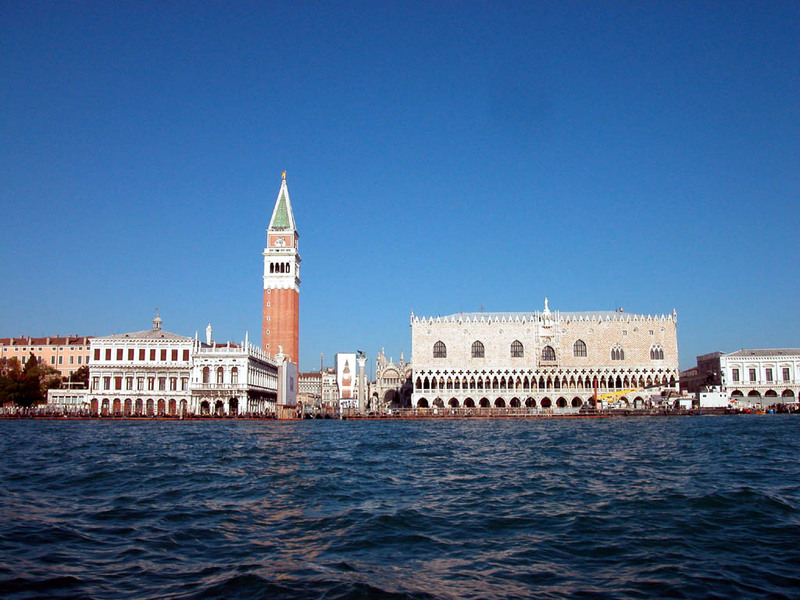 San Marco Square is surrounded by beautiful buildings - the Basilica of San Marco , the Palazzo Ducale di Venezia , the Campanile belfry and the Marciana Library. 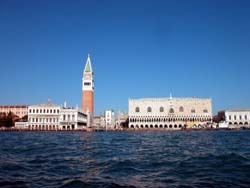 To the right of the basilica you will find Piazetta Square that leads to the Grand Canal. The first San Marco Church was built in the IX century in order to store the relics of Saint Marcus that were stolen by Venetians from Alexandria. This church was burned in a fire, and then a new church was built on the same site. That church was destroyed in the XI century. The modern basilica is built on the foundation of that church. By the way, some historians believe that the relics stored in this church are the remains of Alexander the Great, and not St. Marcus – the relics of the great conqueror disappeared at the same time, when the relics of St. Marcus were found. The basilica has five domes and a large number of arches, turrets and other architectural decorations that have appeared over the centuries due to the treasures, brought by Venetian ships from the East. Therefore, today, one can see Byzantine silver, gold and utensils, captured during the Fourth Crusade in the XIII century, in the treasury of the basilica (Tresoro). The quadriga that adorns the pediment of the basilica was brought as a trophy at the same time. By the way, the horses on the front, which visitors see today, are a replica of the original that has been kept behind the glass since 1990.